What NaNoWriMo is All About! “National Novel Writing Month (NaNoWriMo) is a fun, seat-of-your-pants approach to creative writing. On November 1, participants begin working towards the goal of writing a 50,000-word novel by 11:59 PM on November 30. In a nutshell, it’s a place where procrastinating pigeons cocoon up until they emerge as published phoenixes. Ok not all of them publish. Many go on to become manuscript-toting ocelots. The point is, however, that it takes guts to write a novel and NaNoWriMo provides that much-needed boost! 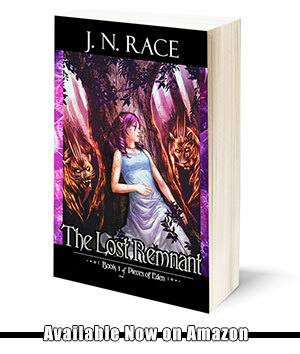 Having just launched The Lost Remnant in July, I will be taking a different approach to November. Rather than attempt to crank out the second story in the Pieces of Eden series, I have elected to draft out the entire outline for the novel which is a lengthy process in itself. I would hoist up a pic of my chicken scratch notes as evidence, but I’ll just leave it to your imagination instead. That doesn’t stop me from getting in on all the fun. If you’re a Twitter-bird, then you’ll be in hashtag heaven as the #NanoWriMo’ers dominate the field. It’s a great way to connect with other people in the same boat as you and that makes for a much more fun journey. 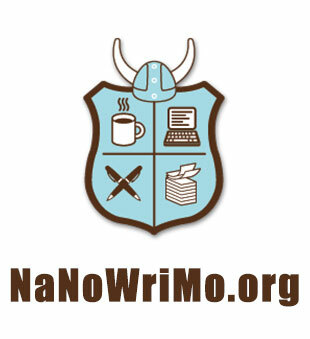 The main office of NaNoWriMo does more than just occupy space 11 months out of the year. Through its efforts, several in-person meetups and write-ins are held throughout the year. Many of them take place in libraries, coffee shops, and other headquarters of the willing who support the cause. Sign-up is free on the website. So if you’re social and you’re looking for yet another writing group, this could be your next big opportunity for friendship and beta-reading glory. You can ALWAYS donate year round as NaNoWriMo is officially a 501(c)(3) organization. Yep, that’s right! All you self-pubbers like me who need a little tax break. You can help a good cause and help yourself in the process. In the meantime, it’s still November! You have plenty of time to get going on your masterpiece.